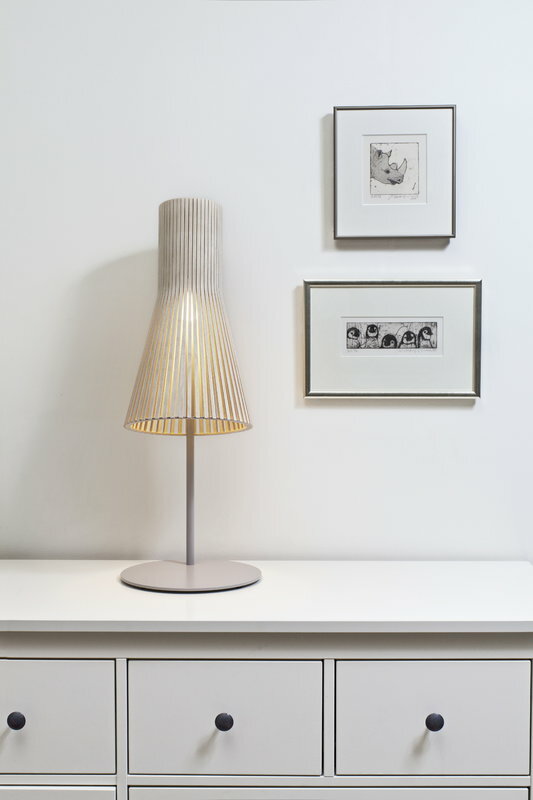 Secto 4220 is an elegant table lamp with a slatted, wooden shade that fills the space with gentle light. 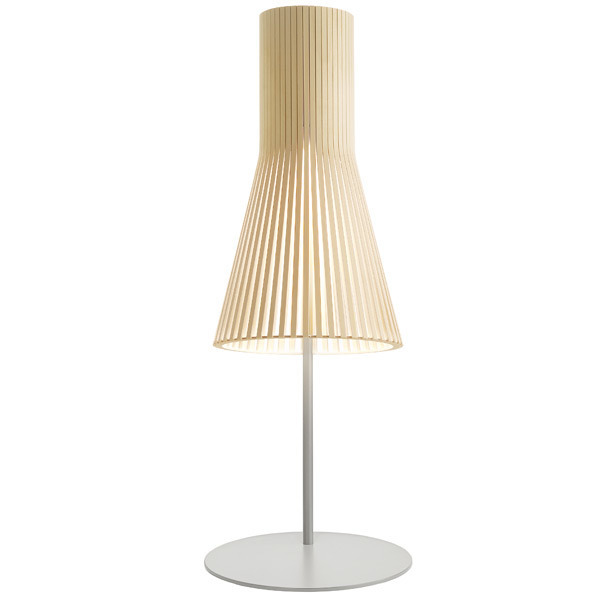 Secto Design luminaires are handmade in Finland from form-pressed Finnish birch. The lamps have clean Scandinavian silhouettes, and the wooden surface gives them a warm and appealing character. Secto lamps are designed by architect Seppo Koho who wanted to develop a softly filtering light that doesn’t dazzle but invites people to come closer. Secto lamps emphasize space and environment by creating a unique atmosphere and feeling of closeness. The use of special bulbs such as halogen, mirror or 12 V bulbs in Secto Design lamps is forbidden, due to overheating. Seppo Koho (b. 1967) is a Finnish architect and lighting designer who has studied at the University of Industrial Arts in Helsinki and at the Tampere University of Technology. 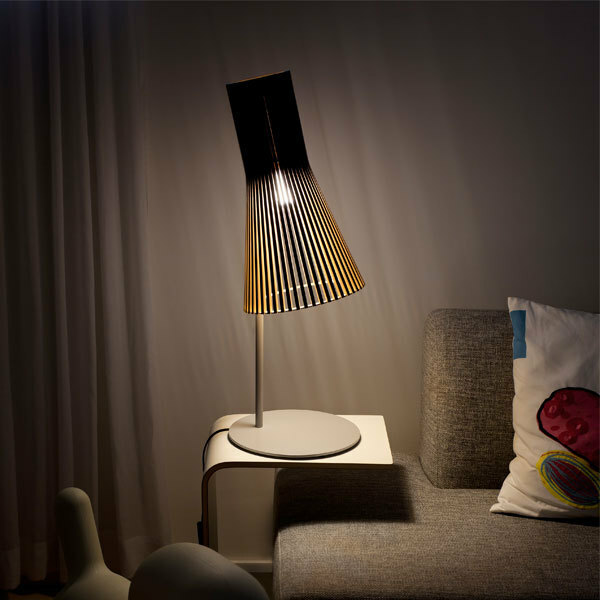 Seppo Koho is the designer behind Secto Design lamps. Secto Design collection includes pendant lamps, wall lamps, floor lamps and table lamps, all handmade in Finland from Finnish birch by highly skilled craftsmen. 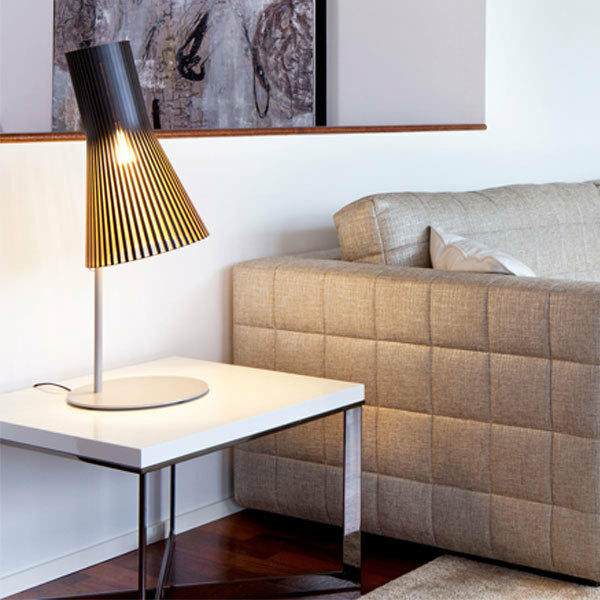 Secto Design's lamp shades have already established a global reputation among design lovers who admire Scandinavian style, excellent craftsmanship and natural materials. Seppo Koho's designs have been awarded internationally and are well-known worldwide for their clear and simple Scandinavian feel.